Why does it strike one person and not another? If you ask your doctor, you’ll probably learn that he’s not really sure, but that it’s genetic and that there are risk factors. But fortunately some of the risk factors associated with dementia are within your control — things like how much alcohol you drink and whether you keep your blood pressure under control. 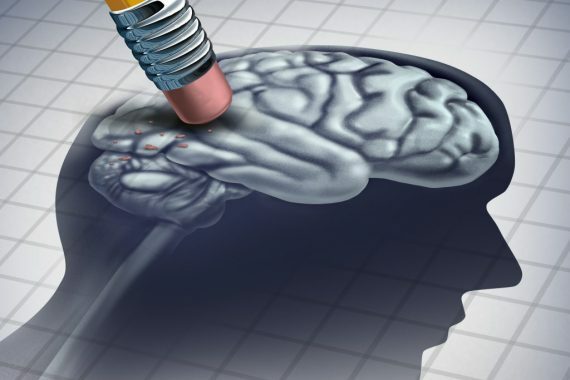 A new study from researchers at the University of Pittsburgh Schools of the Health Sciences has proven that there’s one more dementia risk factor that we have control over and could give us the power to delay or even prevent the onset of Alzheimer’s completely. The study, published in the Journal of Alzheimer’s Disease, followed elderly people for more than 15 years and its findings were groundbreaking. The researchers discovered that the stiffness of a person’s blood vessels is directly correlated with your risk of developing dementia. In fact, they found that arterial stiffness is a significantly higher indicator of future Alzheimer’s than even brain disease! So, how did they figure it out? Well, the researchers analyzed the association between arterial stiffness and dementia among 356 older adults, for 15 years, as I mentioned earlier — so you can take the results to the bank. All of the participants in the present study started the study dementia-free and were tested for their aortic stiffness using something called pulse wave velocity (PWV), which is basically a way to measure the speed at which your blood pressure pulse travels through your arteries — the higher your PWV, the stiffer your blood vessels are. They also had MRI scans of their brains to measure signs of subclinical brain disease. And what’s amazing is that the researchers found that people with high PWV readings were 60 percent more likely to develop dementia during the following 15 years compared to those with lower PWV values. In other words, if you have stiff blood vessels, your chance of ending up with dementia goes up by 60 percent! The researchers themselves say that the study is actually good news since arterial stiffness is preventable. How do you overcome stiff blood vessels then? Well, the first answer is exercise. The study found that exercise at an average age of 73 was associated with lower PWV five years later. Second, you want to watch what you eat, since both what you do and don’t put into your body makes a difference. In fact, a meta-analysis of 38 clinical trials found that caffeine and salt age your arteries more quickly while foods with soy and fish oil supplements decrease their age and stiffness. Third, you should increase your levels of vitamin D since research has shown that just four months of high doses of the sunshine vitamin are effective at decreasing arterial stiffness. And finally, you want to take a combination of Vitamin K2 which increases the pliability of your blood vessels, grape seed extract to increase your body’s production of nitric oxide or NO and promote healthy blood flow, and pterostilbene, which helps block the enzyme responsible for stiffening your vessels in the first place. Remember, although there may be some risk factors for dementia that are out of your control, when it comes to the stiffness of your arteries, you have all the power, so use it to stave off Alzheimer’s and preserve your memories.